Chiller system is an air conditioning method which is used in large cooling capacity such as industrial process, hypermarket, and commercial air conditioning. Most of the homes are using this type of air conditioning because it is cost effective. Approximately 40% of the air conditioning problems occur as a result of poor design and installation of the air conditioner. The inappropriate design and installation normally leads to malfunctioning of the air conditioner. In addition to that, other undesirable effects of careless design and installation include: gas leakage and clogging of water. The homeowners will suffer from both time wastage and undue losses. Moreover, the functioning of the air-conditioning may cease. For you to do a replacement, you need to incur hefty expenses. The wires which are used for air-conditioning installation exist in various grades such as blue, brown, black, green or yellow. Flexible plain copper is used for making these wires. Grave consequences, for example electric shock will come about due to the use of substandard or weak wires. The cost will definitely go up since there will be damages. It is therefore recommended that you should choose wires of high quality. This will ensure safety and durability will be put into consideration. The right installation of the drainage pipes needs to be done. Consequently, I it should be inclined in appropriate gradient so as to minimize the condensation risks. When there is condensation in the air cons, leakages will take place. 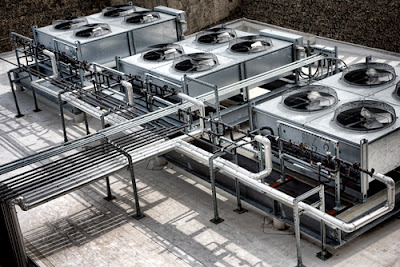 Hence, it will be detrimental to the fittings and furniture and it will eventually add undue cost as it will require you to either replace the damaged part or buy a new air conditioning system. High rate of condensation will be caused by the use of substandard tubes. The tubes will lead you to more repairs in future. By choosing the best insulated brands, efficiency will be enhanced. The tubes also have very high persistence to the water vapor. Moreover, there is accreditation which gives an assurance of quality. This will make you to be certain that the tubes will serve the right purpose indicated. After obtaining quality tubes, ensure that they are clean regularly. The main reason why you should do that is the fact that the contaminants such as mud, minerals and algae will lead to reduction of the overall performance of the chiller air conditioning system. With time, the fouling will gradually occur. Therefore, it is advisable to clean the tubes for high efficiency. 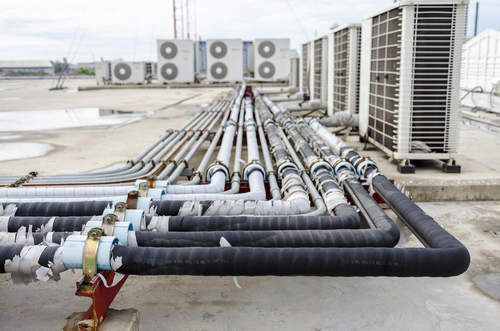 The daily log is used for maintenance of the chiller air conditioning system. the main function of the log is to build operating condition history which comprises of flow rate, fluid level, temperature and pressure,. 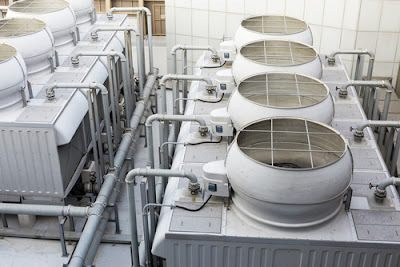 The condenser water should be treated once a year so as to make the circulation effective. Hence, the air-conditioning system will function effectively as there will be no problem when it comes to water circulation. The quality and grade of the air conditioner is also influence by the welding brackets. The performance of the air conditioner is mainly affected by substandard brackets. This normally happens because of rust. The brackets should comply with the directives of the government. If not, it is referred to as illegal and severe penalties will be administered. If you want the best air conditioner installed at your household, you need to look for brackets identified as grade304 stainless steel. Grade 200 series on the other hand is made of galvanized mild steel. This type of material is not certified and tested. Thus, you can select certified and approved brackets and you will experience optimum performance on the air conditioner. In Singapore, the copper pipes for air conditioners should be between gauges: 22 and 23 and also 24 and 25. The gauges are tested and approved by the government. As you design the air conditioner, the certified and the tested copper pipes highlighted should be utilized. When you use substandard copper pipes, it will ultimately lead to failure of the air-conditioner. The chiller air conditioner works by ensuring that there is exchange of heat occurring between the evaporator and the water entering the building. At a temperature of 45 degrees, the chilled water leaves the air conditioner. The chilled water is then circulated through the building by use of the pump. During the circulation, the water will cool the spaces of the pump as well as picking up heat. Nevertheless, it will return to the chiller at a temperature of approximately 13 degrees. There is a repetition of the process. Hence, the house is cooled. The cooling tower is mainly used to reduce the temperature of the condenser. The water looping system is first separated by the chilled water going to your house. At the cooling tower, there is a condenser at 29 degrees. The water picks up the heat of the condenser and moves at 35 degrees. The water is then sent back to the cooling tower by use of a pump mentioned above. As the process is being repeated, water is added constantly by using the water piping so as to replace the water which has evaporated in the air.